Eggs are a staple here in Singapore just like rice and noodles. The breakfast table is never complete without it. After purchasing the egg, you take it out from its cartoon and arrange it in the egg caddy inside the fridge. Sure this looks pretty and neat however experts are recommending that you do not take the egg out from the cartoon. It can consume much space but the cartoon can in fact help protect eggs from absorbing strong flavors and odors of other foods inside the fridge. Another reason not to discard cartoons is that you can always see the Best Before Date which is a crucial part in food safety. 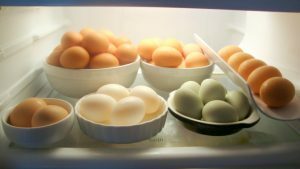 It is also important that you know the recommended storage times for eggs so you will know when it is not safe to consume it. 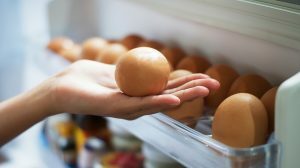 For hard-cooked eggs, you can still consume it within one week after storage. For leftover whites or yolks, you have to consume it within two to four days. For whole eggs: You have to beat the eggs first until fully blended. Pour it in a container and make sure to seal firmly. The important thing here is to label the container with the date and number of eggs then freeze. For egg whites only: If you have left over egg whites, you can still use it for other dishes. You have to make sure not to mix the yolk with whites. Pour the whites in a container and seal firmly. 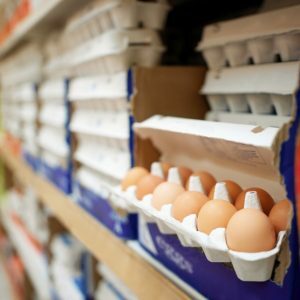 Like whole eggs, label the container with date and number of whites then freeze. For egg yolks only: Egg yolks should be handled carefully if you do not want it to spoil. Remember that the gelatine property of the yolk will thicken once frozen. If it gets thick, it would be hard to use to it for other recipes. The best way to deal with it is to beat it then add salt or corn syrup. Label the container with date and number of yolks. For hard-cooked yolk: Hard-cooked eggs can be used for other recipes as a topping or garnish. After heating it, you can proceed to packing it for freezing. Remember that hard-cooked egg whites and whole eggs can become watery and tough when frozen so avoid freezing them. Frozen eggs are commonly used for baking. If you need to use it, you need to thaw them overnight.